Another wonderful group of music educators. This time I was in Phoenix. I was so excited to go to someplace warm in February! I left Pittsburgh on a surprisingly warm 60° day and arrived in Phoenix to 49° and dropping! It only got cooler while I was there, at least it was SUNNY! It was a big crowd, about 100 teachers, and lots of participation. It took some coaxing to "lose the shoes" (49° is very cold to the folks in AZ), but we had a grand time. Lots of talk about applying the ideas in the elementary classroom, questions about communicating the value with principals and parents, and many good laughs through the day. 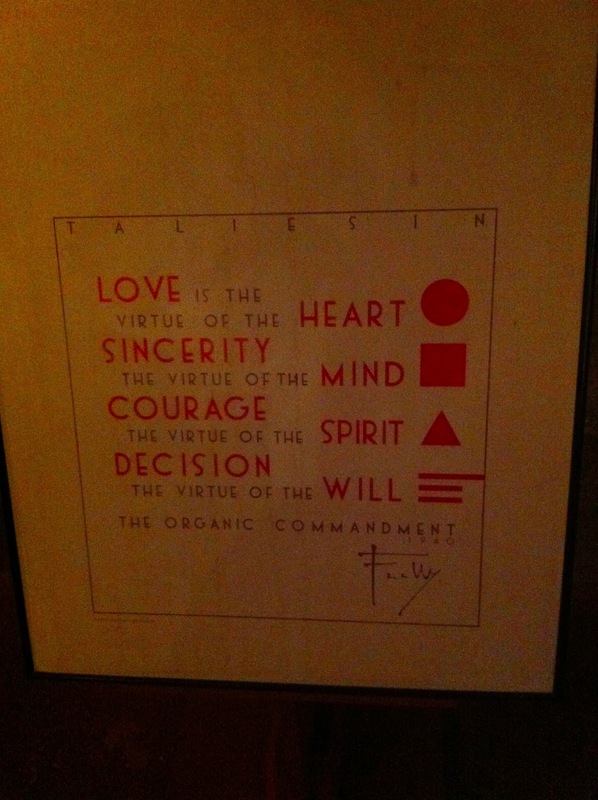 After the workshop, my host took me to Frank Lloyd Wright's winter residence/school, Taliesin West. Our tour guide was wonderful and spent a lot of time trying to explain the Lloyd Wright philosophy of architecture. Lightness/heaviness, tension/release, good flow, forced vs. natural.....I swear I mentioned so many of the same concepts earlier in the day. I loved it. 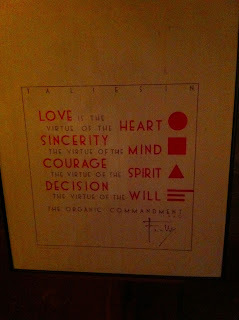 Frank Lloyd Wright is my homeboy. I can't wait to visit Phoenix again.